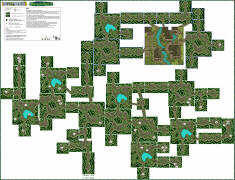 NP's official map for English GBA Tales of Phantasia. 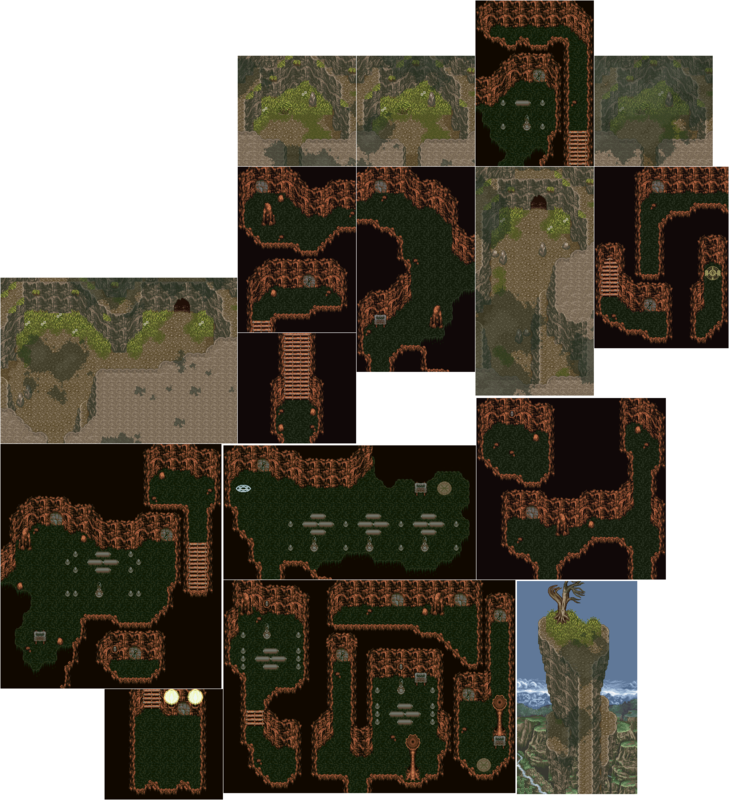 The maps below are based on the SNES version. You can still use them with the English GBA version, just expect the location and item names to be a tad different. Tropicon's famous world map! Wow, it covers everything! It's the most helpful Tales of Phantasia map ever devised. This is a 2-page PDF (16.7 MB). When you print this PDF, make sure Page Scaling is set to "Fit to printable area", as shown here. This will ensure that the map will fill the entire paper for your printer. Here's a much larger world map by Tropicon. It's not as detailed as the above map; it just covers area accessibility. 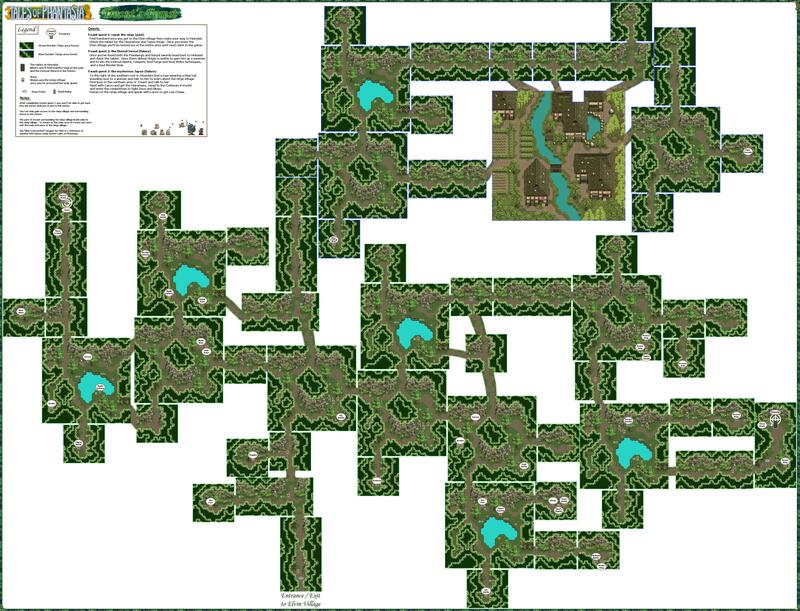 Tropicon's ultimate Treant's Forest map! Everything's listed; all quests are included. A full map of Fenrir's devious cave. 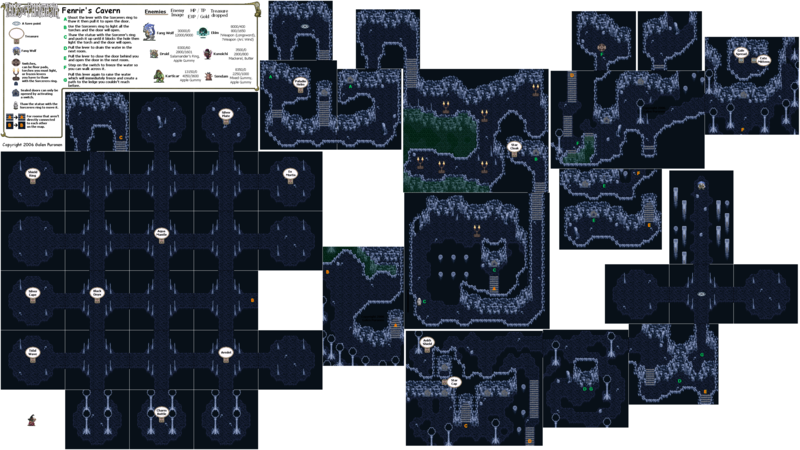 A clean map of Volt's Cave. 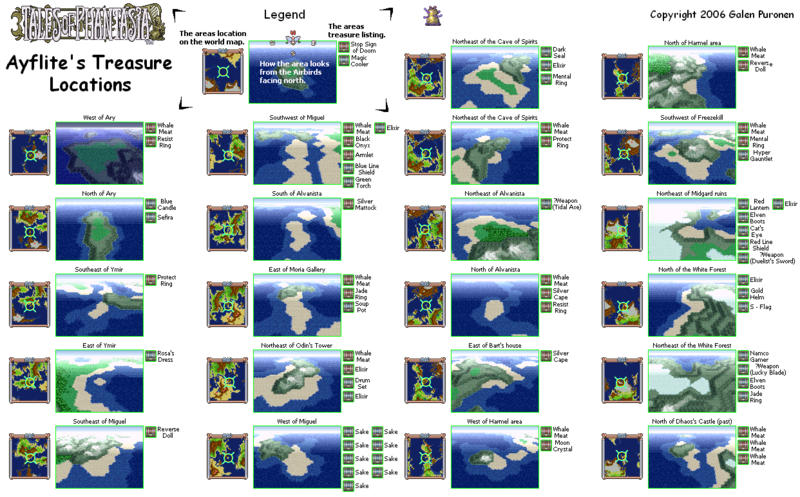 This map points out all of the locations of Ayflite's treasures. Ah, one of the most beautiful places in Tales of Phantasia. All the treasures are listed.